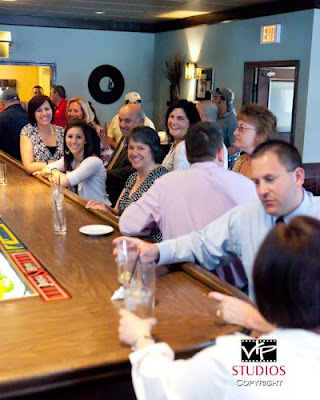 VIP Studios had the pleasure of meeting Carolyn for the first time on April 18, 2009 in Torrington, CT at Eastwoods Country Club for her 70th Birthday Celebration! 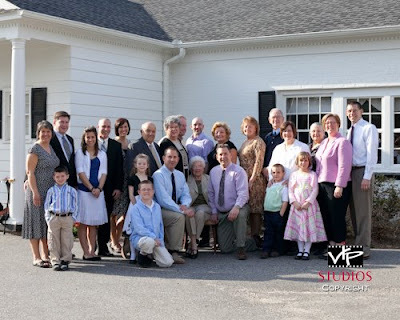 Carolyn had called the studio some time back in January and requested to have photography services scheduled for her and her extended family that would be arriving to officiate the festivities of the day. We had a great time getting the photos she wanted to capture of all the families. After all the small family groups were taken care of inside the club, we went outside and did the whole family group! We finished with pictures in good time so I was able to take a lot of candid's during cocktails. It was a very beautiful day all around and I must say, I enjoyed being around Carolyn and her family! Happy Birthday Carolyn! Two Important Seminars in one week! Meeting Denis Reggie and Sandy Puc' in one week! On Wednesday, April 15th I took a drive out to Middletown Connecticut to hear Denis Reggie speak to about 130 people for about two hours or so. The seminar was free and well worth my time and effort to be there and be a part of the evening for sure. Denis talked about his style, emotion, and most important how to transpire images to convey "the real story" with techniques and equipment settings he uses often. 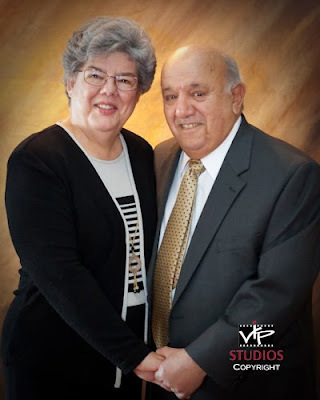 Special thanks from VIP Studios to Justin and Mary for the Envite and all that they do for us photographers! On Friday, April 17th I had another seminar to attend up in Avon Connecticut featuring Sandy Puc' on her seminar "Tots 2 Teens". Jam packed evening of information. What a gal! I was writing down so much of what she said and her tips were well worth the time we spent together. It was a very long, but very informative night. Again, I learned more than I had expected when I went there, so yes, I was very pleased to have been there. You should check out her tours when you have a chance to browse the web at http://www.tots-teens.com. 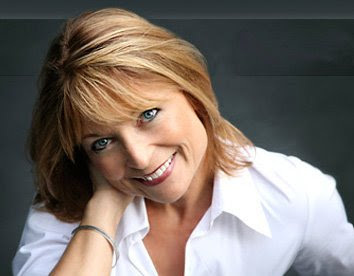 Sandy is a strong believer in charities and supports a few through her web site and on tour. Take time to get to know Sandy Puc', you'll fall in love with her, with her work, and with her charities. Time to put what I learned to work. Talk to you soon. Rock. Wednesday April 1, 2009 - Meeting Betsy Thomas for the first time. On April 1, 2009, I was in Danbury shooting a video for a legal firm. After my shoot, I packed up and proceeded to jump on the elevator to go back down to the main floor. As the elevator doors opened, Betsy Thomas, a lifestyle coach entrepreneur located on Main Street, in Danbury was standing there inside the elevator and very inquisitively said, "wow, that certainly is a lot of stuff to carry around! ", which prompted our 30 second elevator pitch. As we traveled down to the ground floor together, I had told her a little about myself, VIP Studios, and the business opportunities that I am associated with, one being a video company for legal and corporate, and the other being a professional photographer. I asked Betsy what she did for work? Betsy told me she was a lifestyle coach for women, had her own company and was gracious enough to exchange business cards with me. I must admit, it was a pleasure talking with her. A very optimistic personality, and a very successful woman were two traits that came across immediately. I was honored to talk with her and was very impressed with her web site: www.betsythomas.com. It was an added surprise to know she is an avid believer in the Law of Attraction, which is also on my plate of life as well. Hope you visit her web site, and tell Betsy I said hello!